A big groundswell of opinion among businesses over the past 10-12 years is that employee engagement is the key to a company’s success. Not to be confused with employee satisfaction, which has more to do with personal career growth, employee engagement is defined by loyalty and obligation to a company’s outcomes. 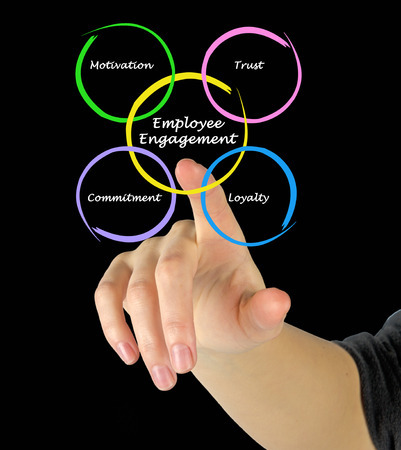 Measuring employee engagement with an eye to increasing it can be a very important business investment. Employee Surveys Measure Engagement – Then What? Employee engagement is measured using a survey. One of the most popular is from noted authority, the Gallup organization. The Gallup Q12 Index asks 12 questions based on behavioral economics research such as, “At work, do your opinions seem to count?” and “Do you have a best friend at work?” Gallup scores on a 1-5 scale that measures respondents’ attitudes toward each question. A business employing the Q12 survey gets results from Gallup as overall scores, along with some guidance for identifying engagement across areas of “strength and opportunity.” However, companies then have to examine the low scores and figure out what to do next. They can spend months analyzing the root cause of lack of engagement by conducting employee interviews and focus groups – before they can even begin to fix the problems. ZeroedIn has a different approach that speeds up the action. When we work with your company, we first collect all of your people data for the top 10 workforce topics that impact companies. Then we work closely with you to construct an engagement survey using industry best practices, but also one that is personalized to your unique business needs. When we analyze your employees’ responses, we also compare and contrast your people analytics to identify factors that are correlating to positive and negative engagement scores. As an example, from survey results we might identify a couple of departments with significantly stronger employee engagement. We might also see from mobility metrics that those department leaders had international rotations and longer tenure than others. Through multi-factor analysis, we can help your company quickly take the next step to isolate the root factors that differentiate those departments, so that the characteristics that foster engagement can begin to be replicated across other departments. Whether you’ve already surveyed your employees about levels of engagement and want to know where to go from there, or you need us to deliver the employee engagement survey, we have the tools and expertise to help you get to results quickly. ZeroedIn workforce analytics – and follow-through – helps you focus on areas of opportunity. We are just as committed to your success as your most engaged employees.